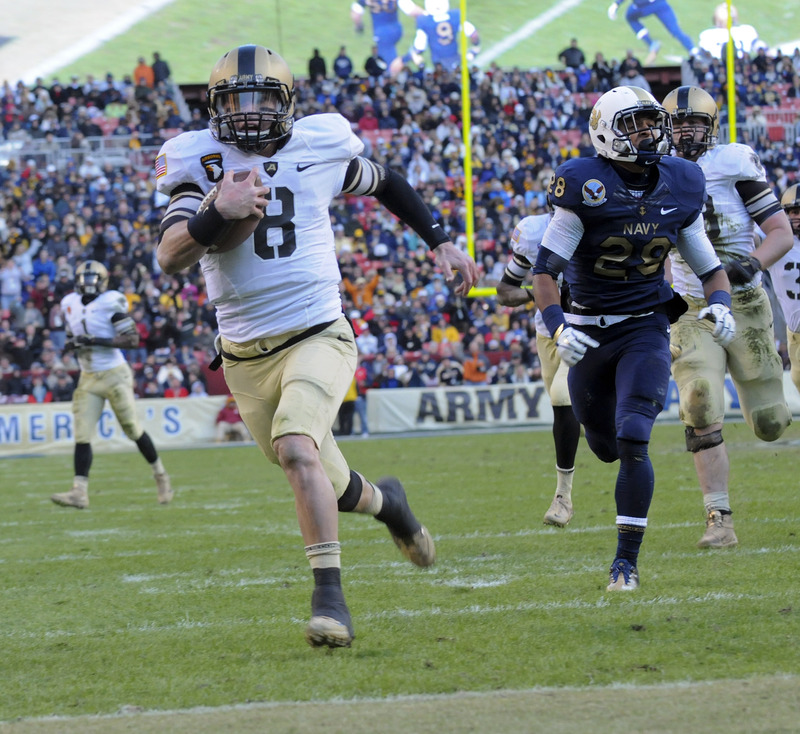 The Army West Point record-holder for most rushing yards by a quarterback will attempt to make the Baltimore Ravens as a wide receiver. Steelman, who signed with the Ravens over the weekend, reportedly received an offer from the Ravens in 2013, before he’d even graduated, but his service commitment trumped his football plans. While that commitment may have kept him from the NFL, Steelman attempted another high-level athletic pursuit, trying out for the U.S. Olympic bobsled team. After moving to the Army Reserve in December, he joined several players with NFL and top-tier college experience in March at the first-ever veterans’ combine. He received no offers as free-agent signings rolled on through the spring. Last month, as a wide receiver, Steelman earned MVP honors for Team USA in the International Federation of American Football World Championship, which the American squad won with a 59-12 rout of Japan in the title game. Steelman had 18 catches during the four-game tournament against international opposition that may have been slightly outmatched. Steelman will be the 12th wide receiver to join the Ravens roster — one of five rookies, including first-round draft pick Breshad Perriman. The team likely will keep about six wideouts after final cuts are made. The former QB rushed for 3,320 yards while at West Point and holds the school’s all-time record for rushing touchdowns with 45, two more than Heisman Trophy winner Glenn Davis.